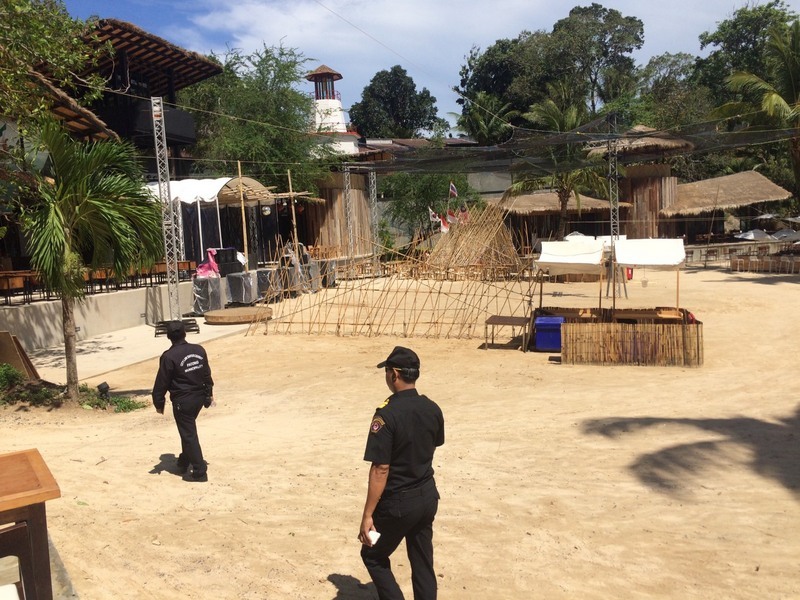 PHUKET: Officers from the Royal Thai Navy today (May 23) posted an official notice ordering all buildings be removed from a plot at Paradise Beach within 30 days – or face have them demolished by the Patong council. 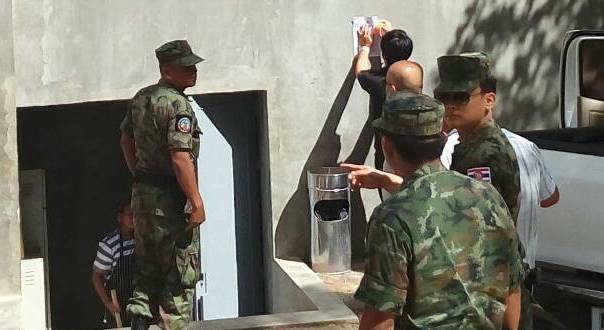 The order, addressed to Paradise Management Co Ltd and signed by Patong Mayor Chalermluck Kebsup, identified 14 buildings to be removed form the site as Patong Municipality had deemed that all 14 structures were built without permission and that they were built on SorPorKor land. SorPorKor land is “degraded forest” earmarked for farming only by poor people. Nithat Prasertnetikul, the legal representative of Sopon Ekvanich, told the press today that Mr Sopon will contest the demolition order. Mr Sopon claims ownership of the land through the SorKor 1 land document No 276, not a SorPorKor land-occupancy deed. “I can’t say at this stage when exactly we will file the appeal as we need to collect other evidence, but we will appeal to the court,” he said. “If we don’t the appeal within 30 days, the municipality will issue a second and final notice, which will give us only seven more days to file our appeal,” he expalined. Mr Nithat emphatically denied that the buildings were on SorPorKor land. “All the buildings concerned are not on SorPorKor land, as claimed in the notice,” he assured. “The building permit was applied for under SorKor 1 No 276, which gives us the right to apply for a construction permit,” Mr Nithat said. “The (SorPorKor) land in question is another plot, it’s not this land, and all these buildings have absolutely nothing to do with SorPorKor land,” he added. I agree with blows and jacky. swerv I think Kurt knows his questions are at least read by a Phuket News moderator and hence might be followed up by this paper if they deemed it appropriate. PLEASE BRING BACK THE OLD PRISTINE, SERENE PARADISE BEACH!!!!! This beautiful place has been "vandalized" by money-driven people exploiting tourists even more!!!! 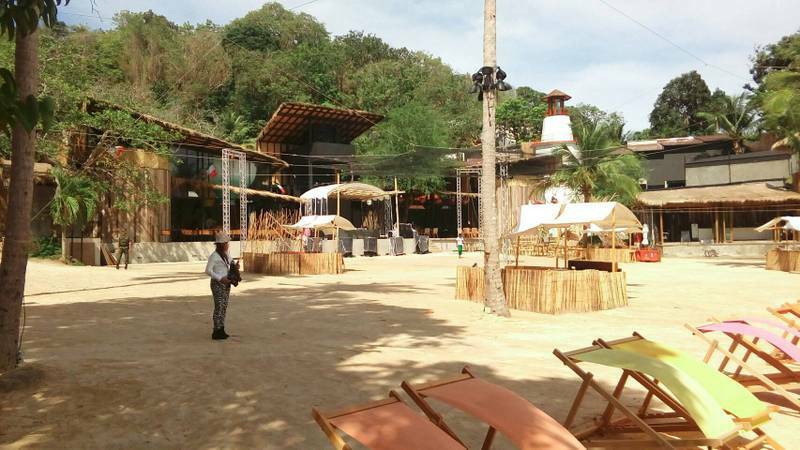 How are the developments with paradise beach so far, today, 10 July? Was told they still freely operate their illegal business. Who is responsible for this not-law enforcement? I guess nobody, as 'many laws involved'. and much tea money and Kick backs are provided to keeps things there going. Any other explanation? Please, let us know. @ Fritz Pinguin:  Ooh, in the past it was quite normal to built first. Such a permit you got anyway with 'thai oiling' here and there. @ Foot: In this case, the municipality of Patong is responsible for all this. Now, with the 'help' of the Navy they correct themselve. If they have the legal right to build, leave them alone. My question is this. If they built illegally, who in the government allowed them to? Surely, there's a severe punishment for this, right? Even if they have the right to apply for a building permit, it is still a strange habit to erect 14 buildings before having received such a permit.